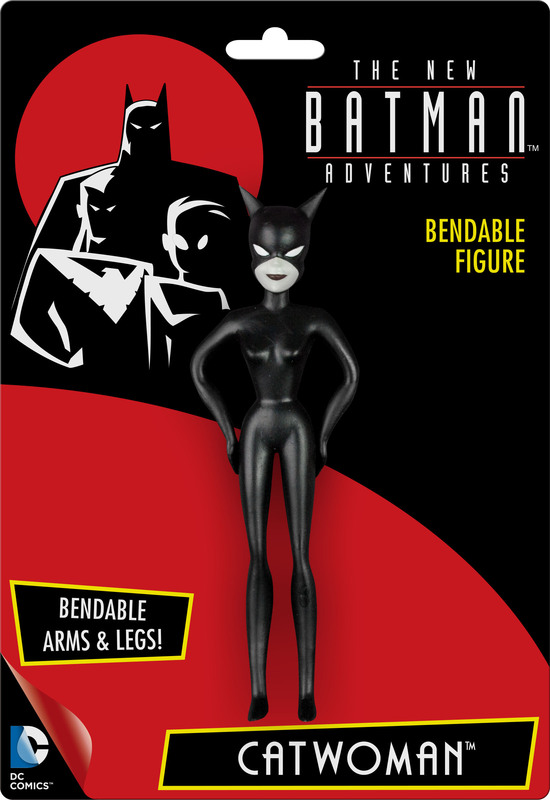 I love the underrated appeal of the bendable figure. They’re durable, cute and, as produced by NJ Croce — the Gumby people — superb and affordable versions of some of our favorite characters. 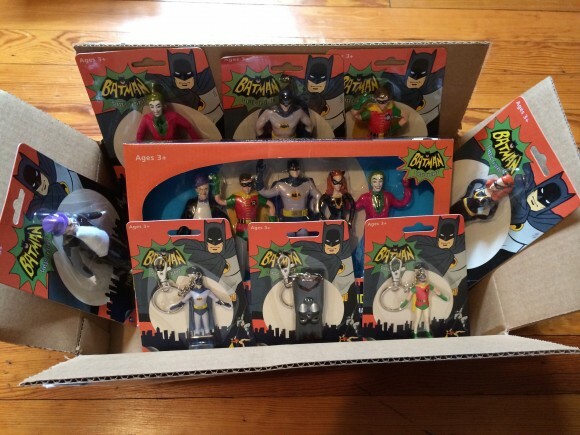 Their Batman ’66 line was a home run and their New Frontier-style DC figures were top flight. Now, they’re prepping their next wave of animated Batman figures, with designs based on The New Batman Adventures. 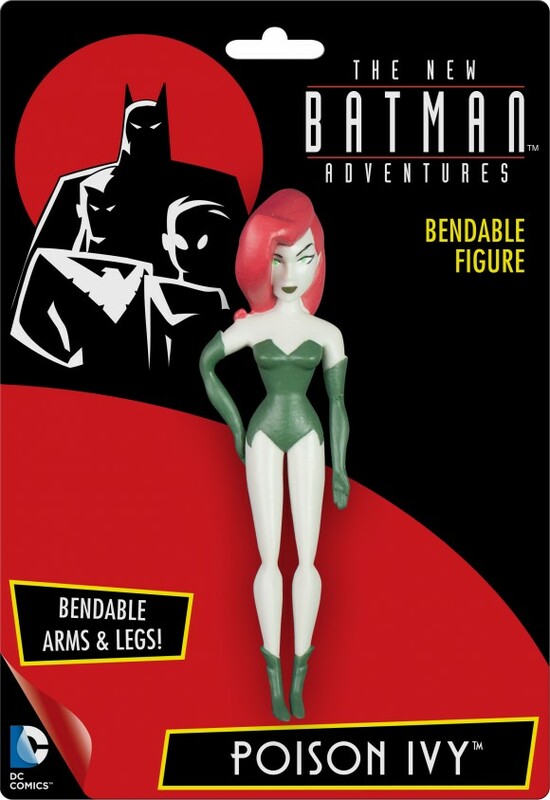 I’m a big fan of the later, New Batman Adventures designs. For the most part, I think they improved on Bruce Timm’s original concepts, so I’m glad that NJ Croce is sticking with this look, especially Catwoman. 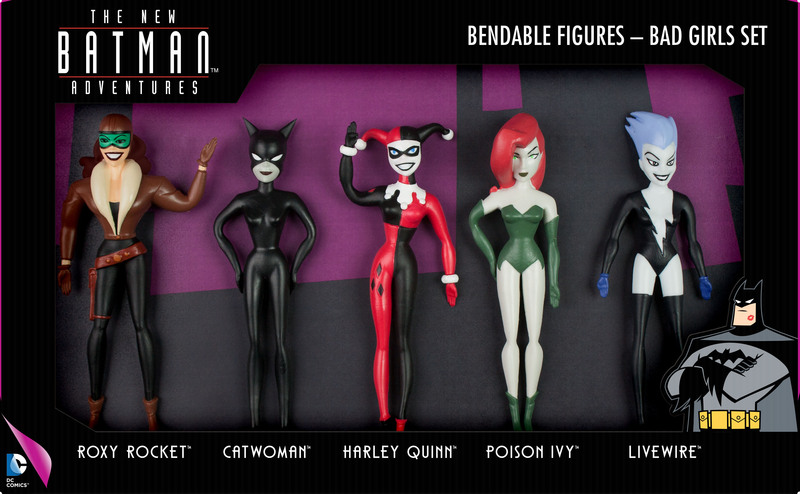 Also included are Harley Quinn, Poison Ivy, Livewire … and the second Roxy Rocket figure to come out this year, which is amazing in and of itself.